Clutch, the Maryland band unafraid of exploring nearly every avenue of hard rock and metal music, has announced a run of shows they are billing the “Psychic Warfare” tour. The band recently released their eleventh studio album of the same name via their own label Weathermaker Music in October of 2015. 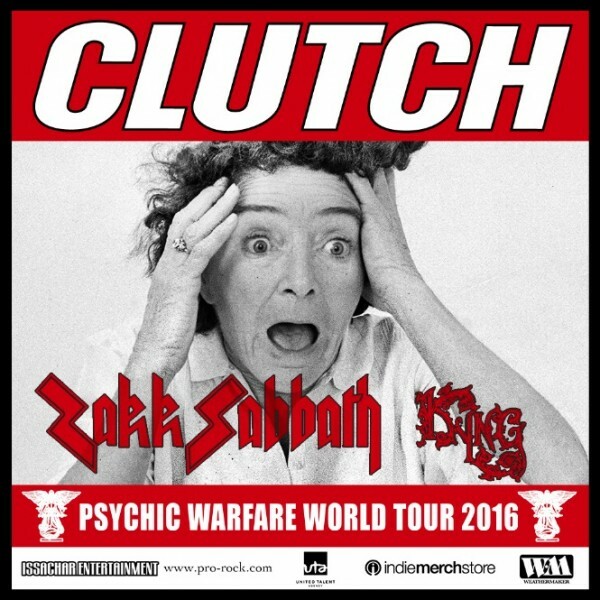 Joining the band on the tour will be Zakk Sabbath, a Black Sabbath cover band that is fronted by guitarist Zakk Wylde and the Los Angeles based metal group Kyng. The tour will hit a couple of festivals – Rock Carnival in New Jersey and Louder than Life in Kentucky. The tour begins in late September and wraps up on October 30 in Worcester, MA. 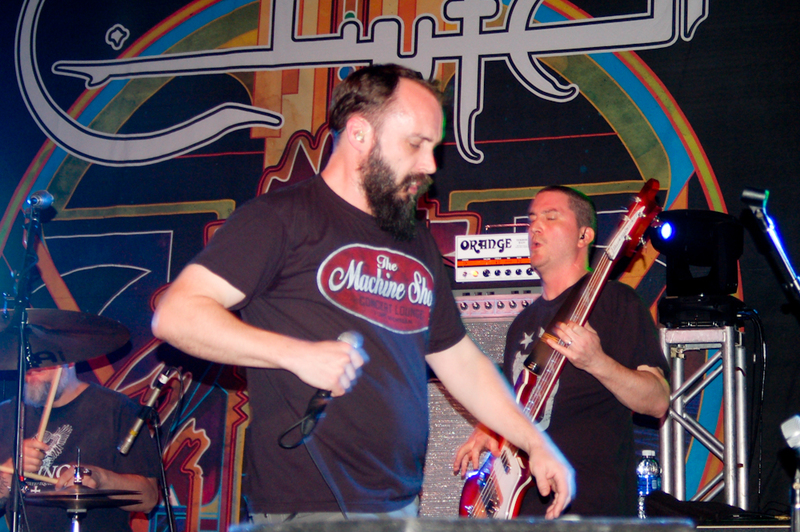 Despite the lack of a strong mainstream rock radio presence, for a band operating within a niche genre, Clutch has always performed quite well from a commercial standpoint. Of course there is their suprise radio hit from 2000, “Careful With That Mic,” but 2015’s “Psychic Warfare” is in fact the best-charting album in the band’s long and illustrious discography. “Psychic Warfare” debuted at #1 on the Top Rock Albums charts and #11 on the Billboard Top 200 with first week sales topping 26,000. Vocalist Neil Fallon is a busy man these days. In addition to this fall tour with his main band Clutch, he has also announced a new side-project called Dunsmuir with ex-Black Sabbath drummer Vinny Appice, The Company Band guitarist Dave Bone and Fu Manchu bassist Brad Davis. The metal band will release their debut self-titled album next month on July 22.